Imagine tasting rich earthy reds and fresh crisp whites together with innovative winemakers surrounded by dramatic outdoor settings. El Dorado wine region, one of the most diverse wine designations in California, will roll-out the best of its unique character for two consecutive weekends in April during Passport 2019 – April 6th & 7th and April 13th & 14th. PLEASE NOTE - TICKET SALES FOR WEEKEND ONE END AT 10 PM ON APRIL 5. DAY OF TICKETS CAN BE PURCHASED AT SKINNER OR LAVA CAP WINERIES! Taste some of California’s finest wines surrounded by the beauty of the iconic Sierra Foothills! 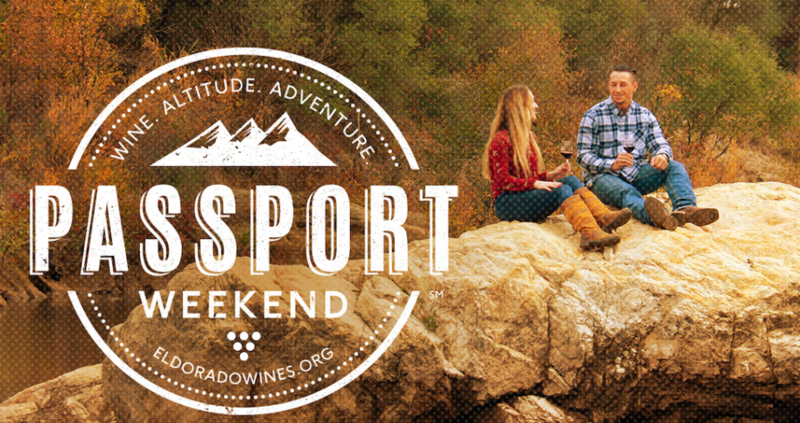 With your Weekend Passport ticket, you’ll receive a commemorative wine glass and exclusive access to limited bottlings, reserve wines, creative food pairings, fun and the unique character of over 20 participating wineries. NOTE: You will not have access to the VIP offerings at select wineries. If you are unable to commit to a full weekend, but still want to take in some of the highlights of Passport, this ticket is for you! With your Sunday Only Passport, you’ll receive a commemorative glass along with exclusive access to over 20 wineries on Sunday. VIP tickets are available for purchase! Along with all of the benefits of General Admission, your Gold VIP Passport grants exclusive access to the exclusive VIP Trail, a brand new feature for this year’s event. Our Gold VIP Passport is the perfect choice for passionate wine adventurers to experience El Dorado County wines like never before! If you want to take advantage of all the extra perks and benefits that Gold VIP status offers, but can only attend one day then this is the ticket for you! For those who prequalified, our Platinum (Legacy) Passports include all the perks offered to Gold VIPs at the price of General Admission. Plus, (Legacy) VIPs will also have additional perks to be announced shortly. Must have Platinum Legacy VIP Code to purchase these tickets. Your legacy password can be found in your email. If you are in need of assistance, please call 530-409-8688. If you prequalified as a Platinum Legacy VIP, but can only make it for one day, this is your ticket!, You will enjoy all the perks offered to Gold VIPs at the price of General Admission. Plus, (Legacy) VIPs have the option to gain early access at a reduced rate to an upcoming exclusive winemaker event soon to be announced. *Must have Platinum Legacy VIP Code to purchase these tickets. Your legacy password can be found in your email. If you are in need of assistance, please call 530-409-8688. If you don’t plan on wine tasting during the weekend, but you’d still like to join in on the fun, purchase the Adventure Guide (Designated Driver) Passport for access to all of the tasty bites, entertainment and awesome sites. DON't MISS THIS OPPORTUNITY! Please join us for El Dorado Winery Association’s first annual Passport Winemakers Gala! Taking place on April 5th and 12th at Mercedes-Benz of El Dorado Hills from 7 p.m. to 9 p.m. Each intimate evening will be a chance to meet and taste with El Dorado County winemakers as they personally introduce wines rarely tasted by the general public. Winemakers will present their hand-selected special reserve wines, rare bottlings, library wines, and other very exclusive offerings. The evening’s exceptional wines will be accompanied by specially prepared pairings and hors d’oeuvres from the region’s top restaurants. A silent auction of limited hand-picked offerings and live music will cap the evening off. Tickets are $85 per person for either of the two Friday events.Partial proceeds of the event to benefit Ag in the Classroom and the EDWA Scholarship Fund.